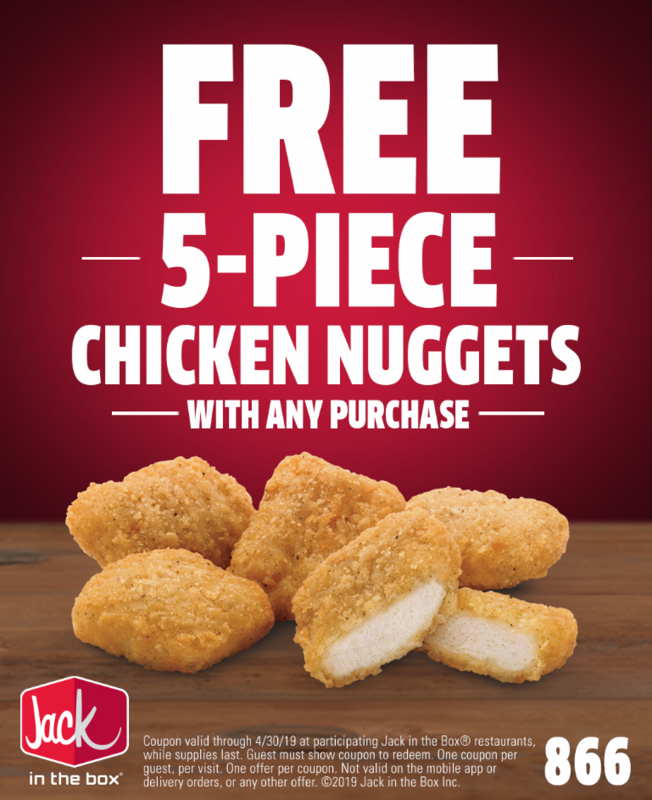 Jack in the Box is offering you free 5-piece nuggets with any purchase you make in store. All you need to enjoy your tasty meal with a side of free chicken is a coupon – also free! You can print the coupon or save it to your device to show in stores. Purchase anything you like then show the coupon to redeem your free nuggets. * US only. Purchase required. Valid at participating Jack in the Box locations. Limit one coupon per customer, per visit. Not valid on the mobile app or delivery orders or with any other offer. Coupon valid through April 30, 2019.